Successfully Added Outdoor Camping Beach Tents Fit 3-4 Person to your Shopping Cart. LARGE DIMENSIONS: The tent is large, suitable for a family to go camping on the beach, great for 3-4 person, easy to carry and pick up. The best choice for you and your family to go camping. UV PROTECTION: This tent use anti-UV material, increase the effect of UV protection. The UV rating of 50+ UPF(UPF 50+ UVA< 5%) to protect you and your family from the sun's harmful rays. you will like the sun shelter. 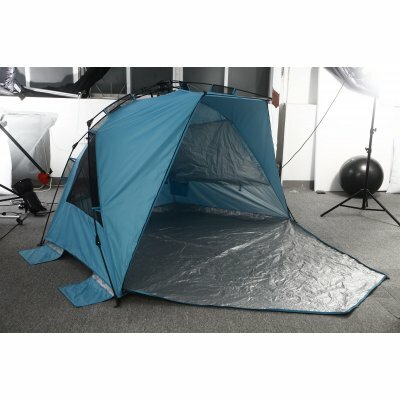 VENTILATION: This beach tent comes with 3 insect screen layer and a doors curtain that would be great for airflow, allowing you to stay cool and keep the insect out. 3 layers window could protect your privacy, 6 strong tent nails and 5 additional sandbags keep the tent steady in the wind. EASY SET-UP & FOLD-DOWN: This beach tent is easier to fold than a pop-up tent. Setting up this beach tent is a fast and easy process which can be done in minutes. The unique folding capability of this tent allows it to be taken down and stored anywhere. [USED WIDELY]: Sun protection for all-day shade at the park, beach, sporting event or just relaxing in the backyard, comes with its own carry case. Our tent is very sturdy because it is supported by our unique 6-point support hub. It also provides 50+ UPF sun protection. 1. Windproof nail design keeps the tent steady in the wind. You don't need to worry about security problems on the beach on windy days. 2. 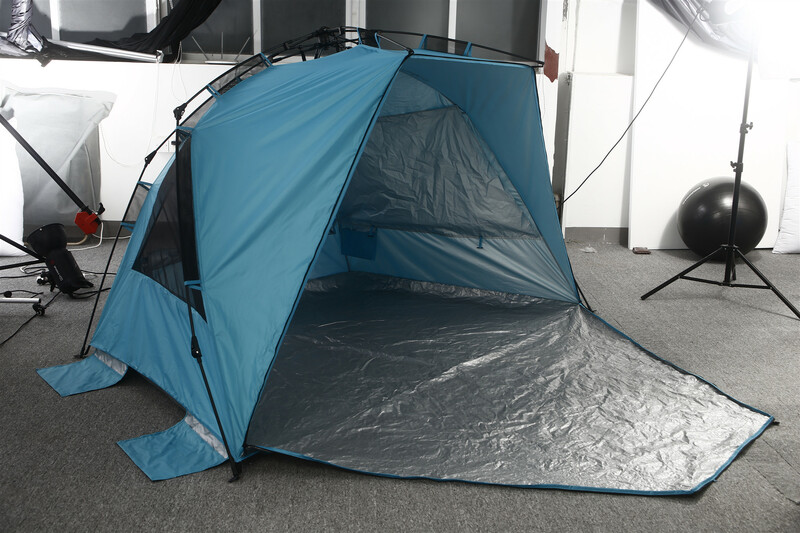 3 insect screen ventilation layer Let you away from the insect, prevent insects into the tent to bite you and your family and let the tent ventilated breathe freely. 3. Window curtain can be pulled up, provide private space. When you want a private space, can paste up Hook &Loop which is on the curtain and window, and then give you a private space. 4. 2 Storage pouch can store a mobile phone, wallet and other small items, convenient to store things. 5. 6 Tent nails and 5 additional sandbags, greatly enhanced the stability of the tent, prevent the tent is not blown away by the wind. Please let us know if you have any problem, we will give you the best service and solve the problem ASAP, Thank you so much.